So I was pondering the realm of the 3D Web, virtual worlds and the like the other day and wondering how far they had come over the last 10 years or so. I remember when Second Life (SL) was first launched in 1999, and how it magically transformed the humble text chat sessions into something akin to being in your own movie. I was working in the Market Research industry and was curious to see what options were up and coming for consumer engagement and if there were smarter ways to conduct research – to put it in context I am talking about a time before web surveys were mainstream and 99% of research was done on the telephone or face-to-face. For me, having a virtual world where consumers and brands could connect from anywhere on the planet was amazing and opened up new opportunities to find out what consumers thought of products before they were created in real life. There were two European market research agencies at the time experimenting with surveys in this medium. I vividly recall in one instance being interviewed by a rock that came to life to talk about my in-world experiences! Novelty factor aside, the ability to show 3D models and mock-ups of new products or see an ad concept on the screen allowed a researcher new avenues to explore. From a learning perspective having the ability to join in a seminar where there was a ‘real’ person on screen showing a new software package or piece of hardware was (almost) priceless, again you have to remember this was before video conferencing and webinars were widely used. Having this experience over 10 years ago I was fascinated to see how far things had progressed and what new opportunities were available. Surely the worlds would be almost photo-realistic, more engaging and it would be easy to pull in external files to share & collaborate on. Yes it was still impressive and you could talk to people but it seemed to be stuck in a time loop. The quality of the environment doesn’t appear to have changed much, maybe Linden Labs were so far ahead of the game when they made it that this is as good as it gets with current technology. Movement is still keyboard & mouse driven with predefined avatar motions used that are, to be honest, clunky at best. I am hoping that with the release of Kinect for Windows that we will see more realistic movements and the interface will become well, ourselves. When this happens I think the purpose and functionality will change and we may see it adopted more. There is fortunately some research already being conducted into interfacing the Kinect sensor with SL (examples here and here) which can only lead to more immersive and collaborative platforms right? One business-focussed virtual world that I have recently discovered is the Avaya webalive platform. For me this seems a nice mix of Second Life & other virtual worlds and business necessities such as file sharing. It can be easily customised to fit the corporate brand and uses VoIP and text chat. I do wonder though the value of using something like that as opposed to say, Microsoft Lync, Cisco Telepresence or Citrix Goto Meeting. I am not a gamer, never have been and not likely to be in the foreseeable future which is why I think I struggle to see how this medium adds more value than the aforementioned web collaboration tools, or even the humble wiki or document sharing sites. Saying that, the Gen Y generation who grew up with this type of gaming environment would probably adopt it more readily and find value where I can’t. 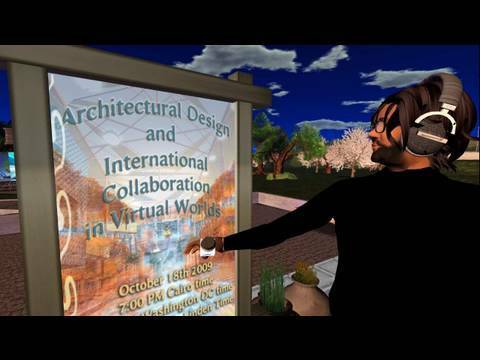 There is no doubt that virtual worlds can support collaboration. My question though is it more gimmick than genuine business tool? Would you use it in your daily business life to collaborate and communicate with a customer or supplier? No, this is not a posting about Tom Cruise in a 1980’s movie but about the perceived risks in implementing social media in the enterprise. So what are the risks that people think of when social media implementation is suggested? The main issues as I seem them can be categorised into a couple of over-arching themes, but far & away the biggest risk I hear about is staff abusing it and wasting time. Security, Loss of (perceived) control, reputation management and productivity are the key risk areas that business owners raise as the reason why they are not embracing social media. Are they real risks, or just managers being overly conservative? I think it is a mix of both, certainly there is a general misunderstanding of what social media is and what it isn’t. I conducted a very unscientific poll of my co-workers and posed the question ‘What is social media?’. Over half said it is sites like Facebook and Twitter. A couple said it is websites that let people communicate and share news. One person did say it is Web 2.0 and it is sites that allow collaboration and communication – in fairness he has been at a Social Media for Business seminar recently. So if the majority think social media is Facebook is it any wonder that people are adverse to implementing? I am not going to go over all the risks in this post, The 2.0 Adoption Council have a really good presentation over on SlideShare that goes through the issues mentioned above and other issues and offers up some suggestions on ways to counter the risks. Perhaps the way to bypass a lot of these objections is to stop referring to it as ‘social media’ with the negative connotations it brings. Maybe it is time to focus on the business value the underlying platform can bring instead. If a tree falls in a forest and no one is around to hear it, does it make a sound? If a customer talks about you online and you don’t listen, do you lose an opportunity? The answer to the first question depends on which school of thought you subscribe to. The second answer is yes you probably will, which is why a new C-level role is emerging in enterprises around the globe. That role is Chief Listening Officer or CLO. It may also go by other names such as Community Manager, Chief Blogger or Head Tweet. Their function is to listen to social media for opportunities to engage with consumers and to direct market intelligence around their organisation. Dell and Kodak have been high-profile examples of organisations dedicating a role to listening to social media and customers, but you don’t need to be a global giant to have the same function in your own business. Telecom NZ have a team working this function as opposed to one person. 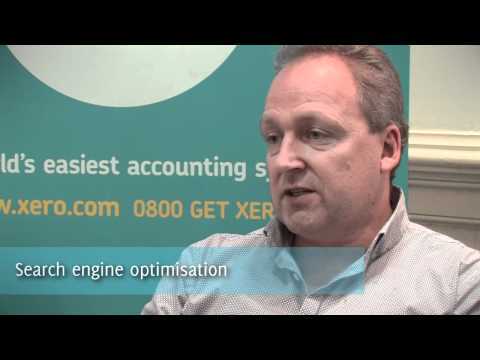 Xero has a Community Manager that is also supported by three others. There are free and not-so-free tools available to businesses to help them monitor the array of social media sites so there is no excuse not to be doing it! Two of my personal favourite free sites are Social Mention which lets you create alerts similar to Google Alerts and IceRocket. But getting alerts is one thing. I think to be truly valuable the CLO, whether it is a person or a team, need to actively engage with consumers on the sites and encourage and nurture relationships. It always amuses me how some large corporates in New Zealand claim to be active and responsive on Twitter, yet you mention them negatively and it can take literally days before they respond! Can you really afford not to listen to the conversations that are taking part around you? In my mind no. Learn to listen. Opportunity could be knocking at your virtual door very softly.